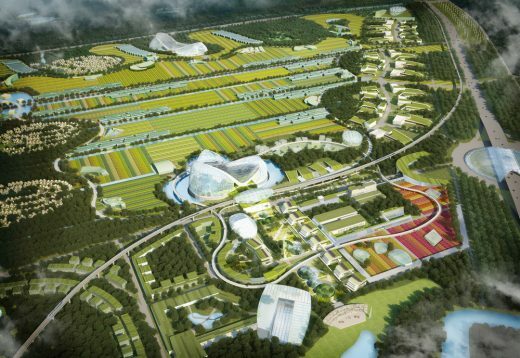 The COFCO Agricultural Eco Valley Master Plan outside Beijing represents a visionary experiment in planning a new social model of agricultural living and working rooted in a local focus that suggests ways beyond the increasingly unsustainable march of globalization. Unlike other large-scale green projects, it is entirely based on the sustainable production of food. 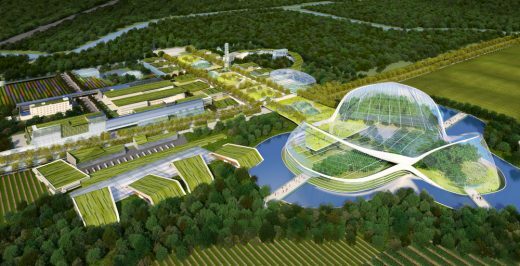 All food will be grown and produced within the site according to the concept of “zero energy in, no waste out,” and all energy will be generated on the site. The nearly 3,000-acre, carbon-neutral development will feature farmlands, industrial agricultural processing facilities, low and high-density housing, hotel, exhibition center, orchard golf course, restored wetlands, commercial and retail buildings, greenhouses, a landmark botanical garden attraction, research laboratories, and transport infrastructure that connects the site to the greater Beijing area. 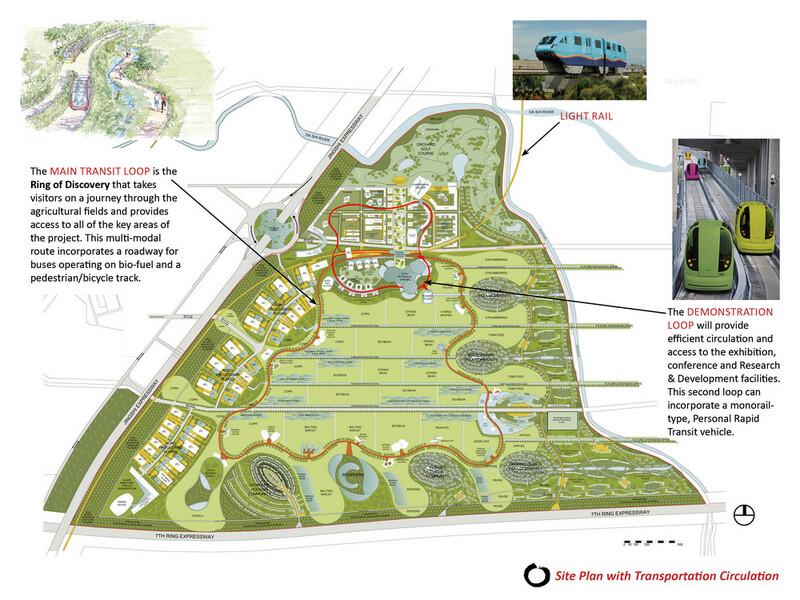 The master plan proposes to target a LEED for Neighborhood Development Platinum rating. The Eco Valley Master Plan project was awarded in April, 2011 to the Design Team led by Moore Ruble Yudell Architects & Planners and Arup Consulting Engineers (Los Angeles) following an international design competition. 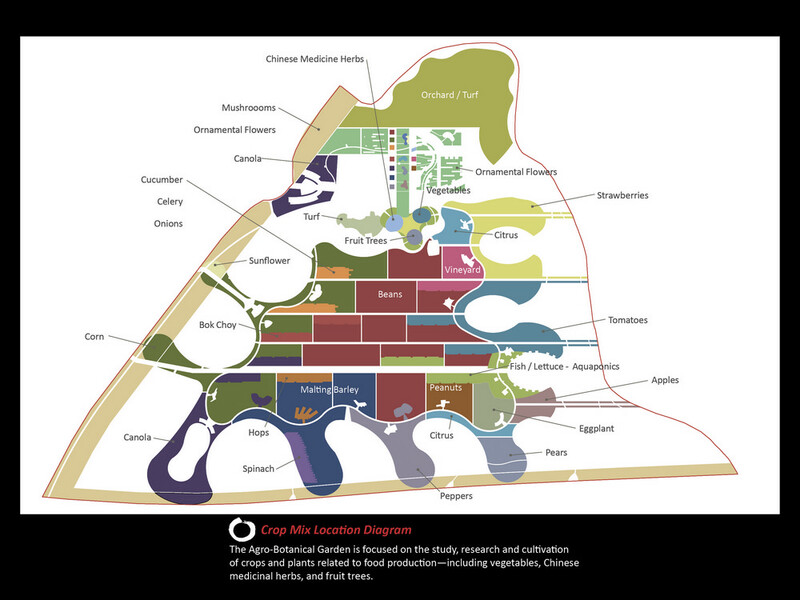 The design process involves a close collaboration between the international, multidisciplinary Design Team—including master planner/architect (Moore Ruble Yudell), sustainability/infrastructure planner (Arup), a university agricultural economist (Dr. Colin Carter from the University of California, Davis), landscape architect (Nelson Byrd Woltz), and local Chinese architect (PURE Design)—with the Client, COFCO (the China National Cereals, Oils and Foodstuffs Corp.), a state-owned conglomerate that is one of the largest agricultural companies in the world. Eco Valley will eventually be home to between 80,000-100,000 people, and demonstrate a closed-loop approach toward the key resources of energy, water, and waste on a single site—emphasizing the scarce resource of food and its production. 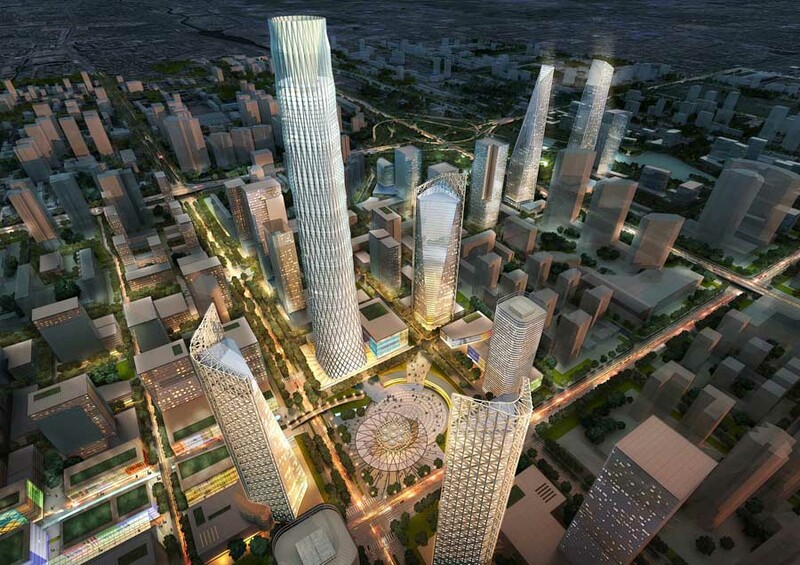 The project is located approximately 30 miles southwest from the center of Beijing in the outlying Fangshan District, along the proposed Seventh Ring Expressway. The site includes existing villages and low-yield agriculture that will be redeveloped and incorporated into the master plan. 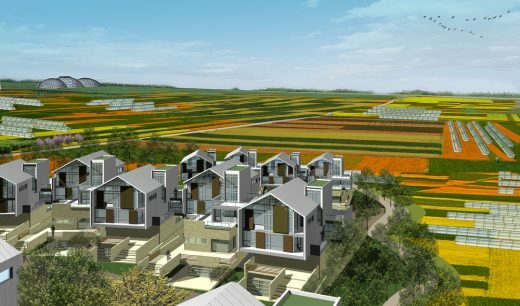 Displaced farming families will be integrated into the Eco Valley, which will include social housing and agricultural production opportunities for the existing community as the overall project develops. The project achieves an integrated planning vision for a pioneering agricultural project, by optimizing the connections between the educational, agricultural harvesting, production, residential, touristic, research and transportation elements of the program. 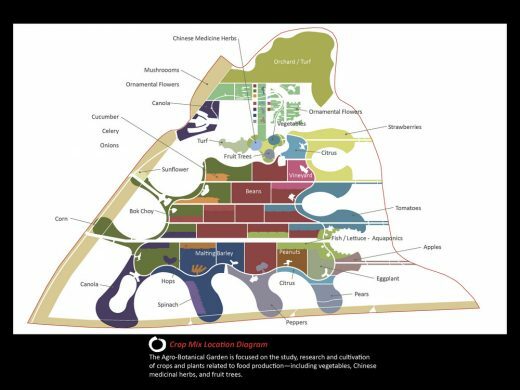 The robust yet flexible master plan is based on a concept of agricultural research and development, and organized around a multi-modal transport loop called the Ring of Discovery. 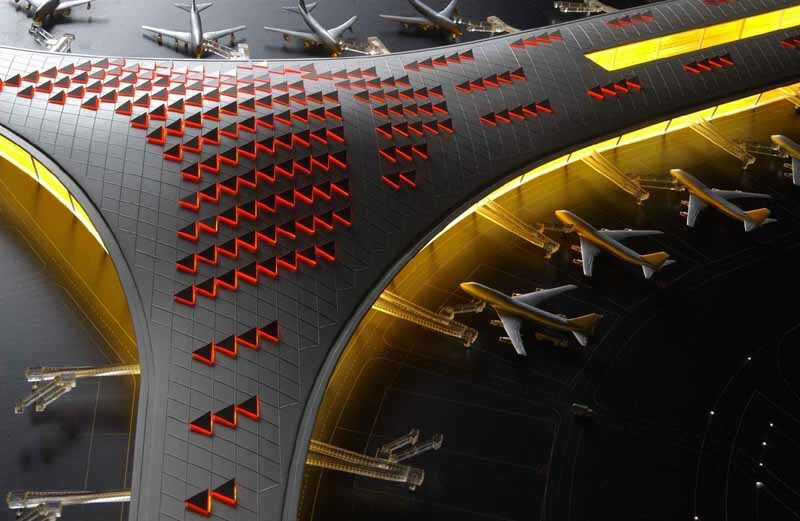 This Ring, which accommodates pedestrian, bicycle, and bio-fuel-powered buses, will also connect with a smaller monorail loop for customized, programmable Personal Rapid Transit (PRT) vehicles to move around the main commercial and tourist hub to the Eco Valley. 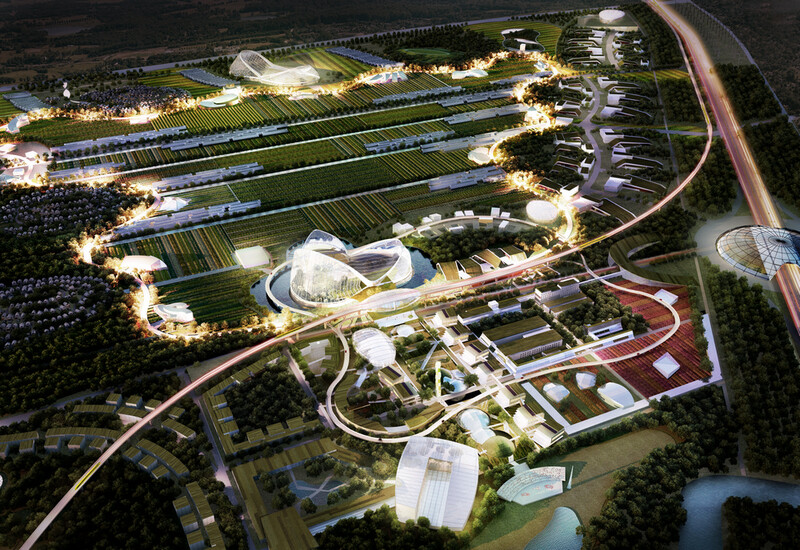 The Ring of Discovery connects all zones of the development and links a series of Discovery Pavilions that will display educational materials and programming related to developing technologies for agricultural, farming, and residential elements. 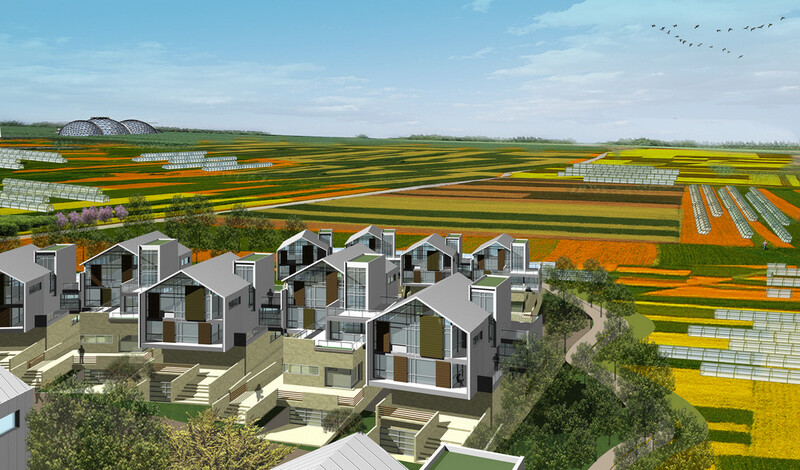 The site consists of four main zones surrounding central farmland: (1) research and development; (2) agricultural production; (3) residential; and (4) social housing. 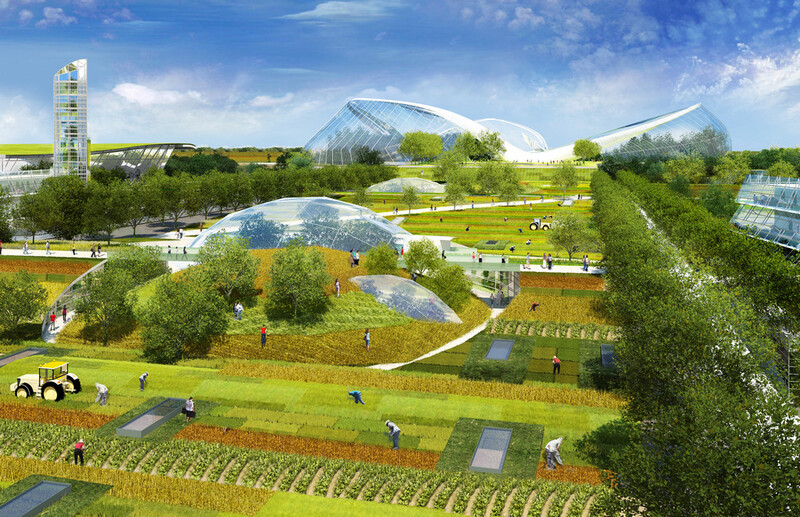 Farmland and free-range livestock areas have been innovatively woven into the plan so that all zones and building types—residential, commercial, industrial—access this agrarian space both visually and physically, eliminating the real and conceptual divide that historically separates food production from consumption. The crops proposed to be grown at the Eco Valley, which have been researched in collaboration with Dr. Colin Carter, include canola, sunflowers, corn, barley, soybeans, peanuts, string beans, tomatoes, apples, pears, peppers, strawberries, grapes, mushrooms, flowers, and citrus fruit. The phasing strategy was based on a strong, clear progression that strengthens and ensures the best, optimal development of the project. 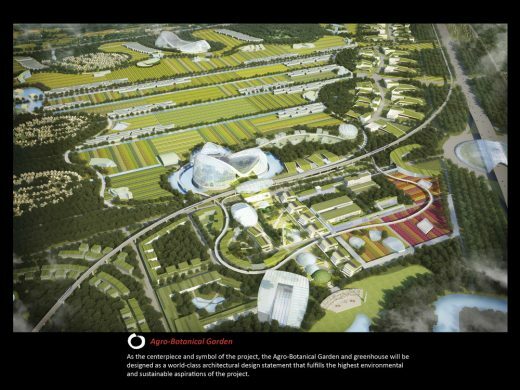 Phase 1 will include the most important agricultural exhibition and research & development elements to form a strong nucleus located around an existing food processing factory, while not interfering with any existing villages. 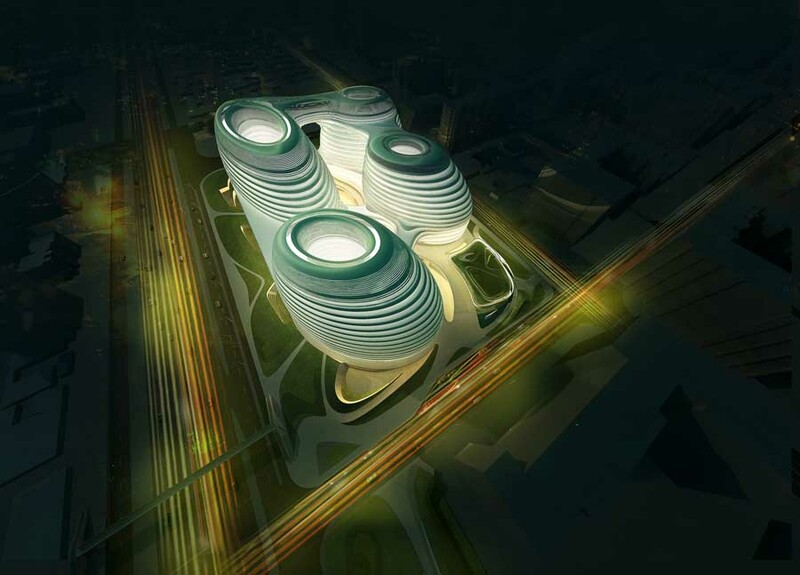 The master plan envisions the creation of a dynamic exhibition/demonstration zone around a future light rail train station linked to Beijing. 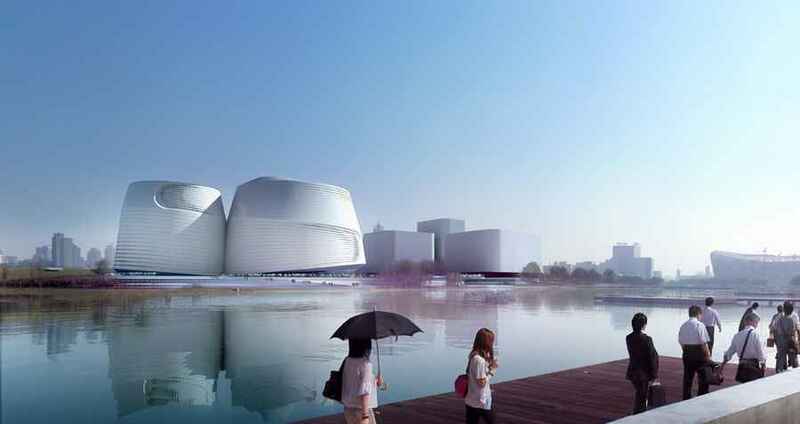 The iconic landmark symbolizing the project will be the Agro-Botanical Garden and Greenhouse—this will be the largest enclosed structure on the site, with a spectacular, highly-visible, centerpiece architectural image. The Future Phases 2 through 5 will achieve the full build-out of the master plan by adding the five themed residential hill-top communities, establishing all of the agricultural farmland in the center of the site, and completing the remaining housing and Agro-Processing areas in the southern edge, along the 7th Ring Expressway. Client: China National Cereals, Oils and Foodstuffs Corp (COFCO), a state-owned conglomerate. In-House Digital Rendering Team: Halil Dolan, Nozomu Sugawara, Takuji Mukaiyama, Toru Narita.